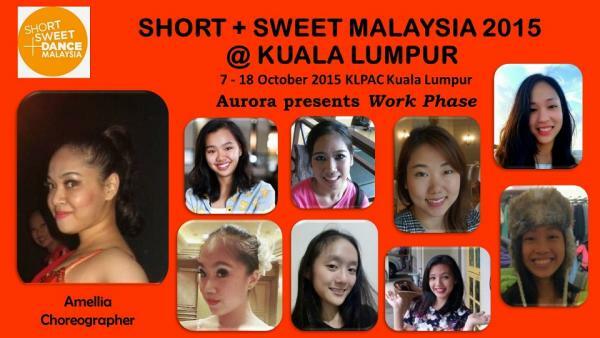 Work Phase is a finalist at the 2015 Short + Sweet Dance Malaysia and will perform at the Gala on 18th October 2015. If you missed watching it on week 1 , this is your last chance!!! This year's entry from Aurora is Amellia's WORK PHASE danced by the choreographer and her team comprising of senior students and dance teachers. 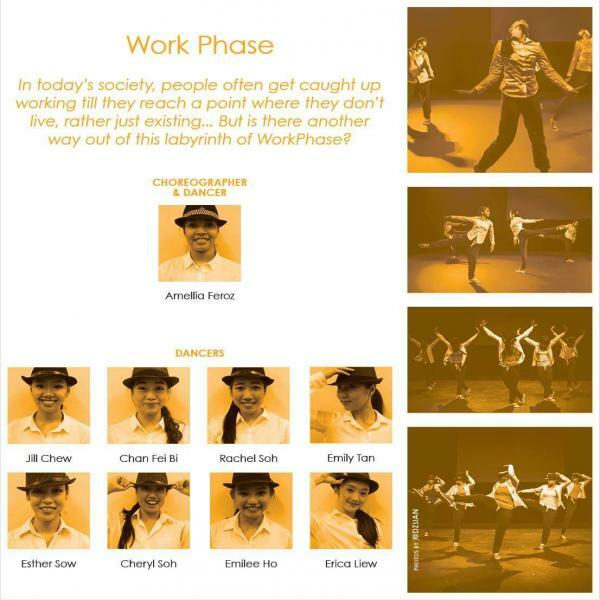 The performers are Amellia Feroz, Rachel Soh, Phoebe Chan , Jill Chew ,Emily Tan, Esther Sow, Cheryl Soh Emilee Ho and Erica Liew. Amellia,who danced in the multiple award winning piece NERDS GONE NUTS by Vice Principal Suhaili Micheline, won the best female dancer award at the 2012 SHORT+SWEET DANCE FESTIVAL. At the same festival, her original piece, MAMAT IN FAUNALAND a beautiful production comprising a cast of a dozen under 13 year olds was selected to compete in the gala. Short+Sweet (originally known as Short & Sweet) is a multi-form arts platform presenting festivals in theatre, dance, music-theatre, comedy and cabaret across Australia and Asia. The one common thread between all festivals is that all works presented - be it theatre, dance, music-theatre or cabaret - must be ten-minutes or less. Short+Sweet's vision statement is: a more creative world ten minutes at a time. Their flagship festival is Short+Sweet Theatre Sydney, the largest ten-minute play festival in the world.